We conducted the first study evaluating the long-term performance of dual stain in 1,549 HPV-positive women undergoing routine screening with co-testing at Kaiser Permanente Northern California over a 5-year period. Overall, 46% of women in the study had a positive dual stain test, compared to a 51% Pap-test positivity. 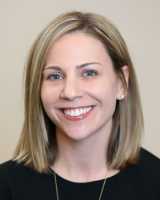 Women with a positive dual stain test had a higher risk of developing cervical precancer over the 5-year period compared to women with a positive Pap test result, suggesting that using the dual stain test to triage HPV-positive women would lead to lower referral rates (to colposcopy and biopsy), but greater disease detection compared with Pap cytology. Importantly, women with a negative dual-stain test result had a lower risk of developing cervical precancer within 5 years, compared to women with a negative Pap test. This risk was very low within the first 3 years, suggesting that women with a negative dual stain result can wait 3 years before being screened again. Dual stain is more accurate and efficient for detecting cervical precancers compared with Pap cytology for triage of HPV-positive women. The low risk of cervical precancer in HPV-positive women who test dual stain negative permits safe extension of follow-up screening intervals for 3 years. Response: Future studies should evaluate the performance of the dual stain test in other healthcare settings and in different populations, such as women who received the HPV vaccine. This entry was posted in Author Interviews, Cancer Research, HPV, JAMA, OBGYNE and tagged healthcare medical research, HPV, NCI, PAP Smear by Marie Benz MD FAAD. Bookmark the permalink.